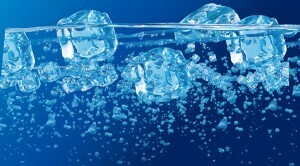 Can you give your dog ice water? I am sure that you have read on the internet that ice water can cause bloating or stomach spasms in your dog. Don’t believe everything you read on the internet. According to Dr. Tina Wismer, medical director at the ASPCA’s Animal Poison Control Center, the information is false. Bloat is most commonly seen in deep-chested large-breed dogs, Wismer added, and is caused by food or from a build up of gas. “Either can cause the stomach to rotate and the dog to develop gastric dilatation volvulus (GDV),” she said. The potential problem is that your dog could break or chip a tooth, but highly unlikely. 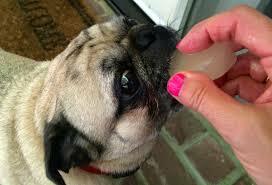 Give your dog a an ice cube treat, him might find it very refreshing.